We run multi-activity camps for children aged 4 – 14 during Easter, Summer and half term holidays across South London. Throughout 14 years of operation Activ Camps has developed a unique and exciting model of activity camp, where the children always come first. Activ Camps provide innovative and inclusive variations of traditional games and sports, giving children the opportunity to escape any negative experiences or stereotypes. 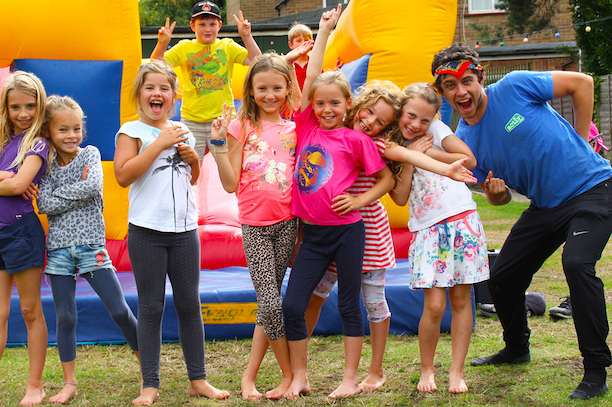 Activ Camps also strives to provide children with experiences that they would not normally encounter, activities such as Body Zorbing, Archery Tag, rock climbing and a number of epic giant inflatables are just a few of the favourites.